A settlement of $7.5 million has been reached between Orbit Medical, Inc., Rehab Medical, Inc. and the US Department of Justice, concluding a five-year lawsuit. This lawsuit was brought under the qui tam provisions of the False Claims Act. Two former employees of Orbit Medical, Dustin Clyde and Tyler Jackson, will receive 20% of the settlement as False Claims Act whistleblowers. Orbit was accused of charging Medicare for wheelchairs for those who did not medically require them. Power wheelchair suppliers are able to bill Medicare for the equipment only when a qualified individual is in need. In order to be determined qualified, an individual must meet with a doctor for a face-to-face evaluation. The doctor must determine that the person cannot perform daily routines within his home without the use of a wheelchair. Other mobility assistance equipment, such as a cane or a scooter, must not be sufficient. After the doctor makes a finding, he must provide proper prescription and documentation demonstrating the need for the power wheelchair. This information must be filed within 45 days of the examination. Durable medical equipment (DME) suppliers must bill Medicare accurately to ensure that taxpayer dollars are used only on individuals who truly need the equipment. Orbit was accused of having billed Medicare excessively, requesting that they fund wheelchairs for those who did not medically require them. Orbit was liable for this conduct through the federal False Claims Act, which requires, among other clauses, that a company not make a false claim to a federally funded program. The information that was provided to Medicare by the doctor was allegedly forged or altered by Orbit sales representatives, at the instruction of Jake Kilgore, the former VP and sales manager at Orbit. It is alleged that this false billing occurred between September 2008 and June 2011. In this case, information provided to Medicare claimed that people were qualified for a power wheelchair, when they were not truly qualified according to the original prescription. Sales representatives at Orbit knowingly altered the information in the prescription in order to boost sales. This was done through a number of methods, including modifying the physician prescription to falsely establish medical necessity, changing the date of the doctor’s notes to have been within 45 days, creating and altering chart notes to supplement the necessary documentation needed to establish medical necessity, forging physician’s signatures on prescriptions and documentation and adding stamps to the documents to make it appear as though the doctor had mailed in the information. The company was deceiving federal healthcare programs, and in doing so, forcing taxpayers to pay for wheelchairs for persons who were not qualified. Schemes, such as this one, divert funds that are meant to pay for legitimate health care. 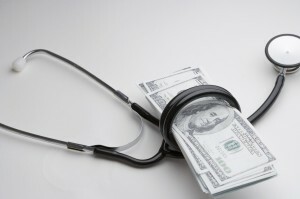 Clyde and Jackson came forward with the information alleging that Orbit Medical modified physician prescriptions and supporting documentation in an attempt to defraud federal health care programs. The whistleblowers were protected under the False Claims Act for bringing the information forward. The whistleblowers brought the case, on behalf of the government, against Orbit in April 2010 in the US District Court in Utah. As a result of the case, the US Attorney’s office, the US Department of Health and Human Services’ Office of Inspector General and the FBI chose to investigate Jake Kilgore. The investigation led to Kilgore being criminally indicted. The criminal charges against him are still pending and were not resolved by the recent settlement. Additionally, three of the company’s former sales staff have pled guilty to conspiracy to defraud. The US Department of Justice chose to intervene in the case in April 2014 in attempt to reclaim unwarranted payments resulting from fraud. Upon intervention, settlement talks began between the two sides. After over a year, the two sides were able to settle on an amount to be paid to the government by Orbit Medical, Inc. and Rehab Medical, Inc. The settlement money will help to restore funds that were unfairly taken from Medicare through falsified documents and billings. This settlement resolves the charge against Orbit Medical and Rehab Medical. Orbit Medical, Inc. is a supplier of power wheelchairs and accessories, based in Salt Lake City, Utah. Rehab Medical, Inc. is a partial successor of Orbit, based in Indianapolis, Indiana. The settlement of this case resolves a five-year lawsuit and restores funds that were illegally taken from Medicare. It also demonstrates the government’s commitment to protecting federally funded programs from fraud through its HEAT initiative, which focuses on reducing financial fraud of healthcare programs by use of the False Claims Act.